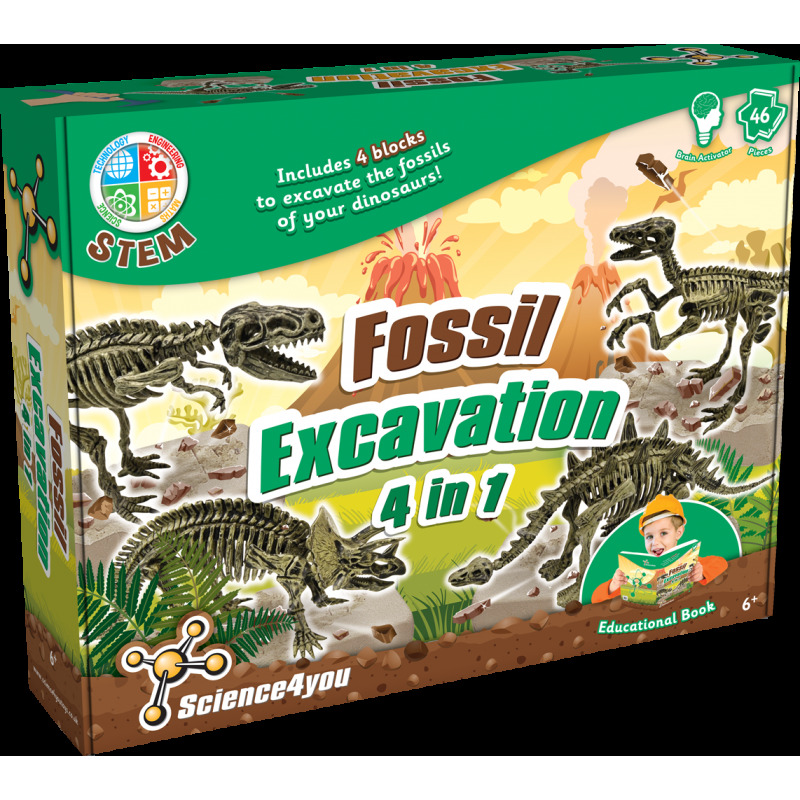 Make fantastic fossils of your dinosaurus - Triceratops, Tyrannosaurus Rex, Stegosaurus and Velociraptor with the Fossil Excavation 4 in 1 Kit! 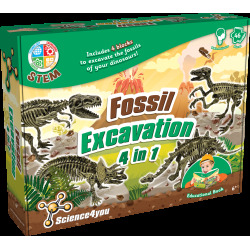 You will enjoy playing with the most known dinosaurs while learning all about them. 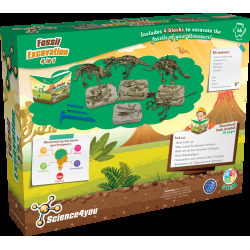 Become a real archaeologist with the Fossil Excavation 4 in 1 Kit! 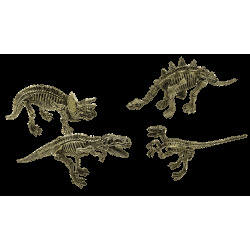 Characteristics and curiosities about Triceratops, Tyrannosaurus Rex, Stegosaurus and Velociraptor. 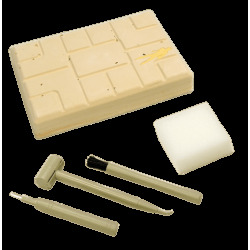 This toy includes 46 pieces as well as an educational book with 36 pages.